On the popular Fox doctor drama House, actor Hugh Laurie plays an acerbic, yet ingenious infectious disease specialist whose curmudgeonly ways, drug use, unrepentant machinations, and sadistic treatment of patients has earned the show—now in its fifth season—an enormous and dedicated following. 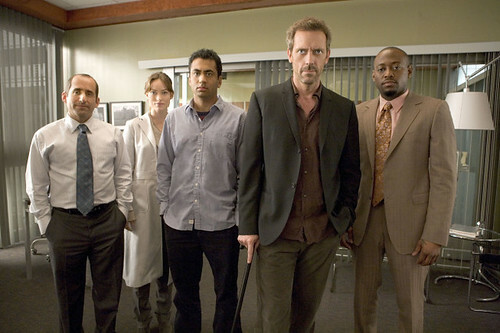 The series unfolds at the fictitious Princeton-Plainsboro Teaching Hospital, where, segment after segment, Dr. House and his team bicker, sneer, and get to the bottom of rare medical afflictions, killing off the odd invalid from time to time. Well, the stage for this gripping serial need not remain a figment much longer: the utterly factual Princeton hospital has recently announced that it will soon move its facilities to a brand new home in none other than Plainsboro, New Jersey! 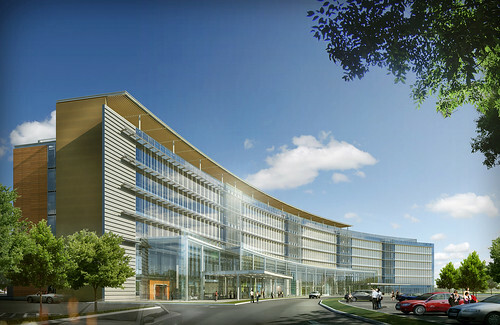 The new $440 million hospital, to be known as the University Medical Center of Princeton at Plainsboro (UMCPP), has been designed as a joint venture between RMJM and HOK and is scheduled for a 2011 completion. 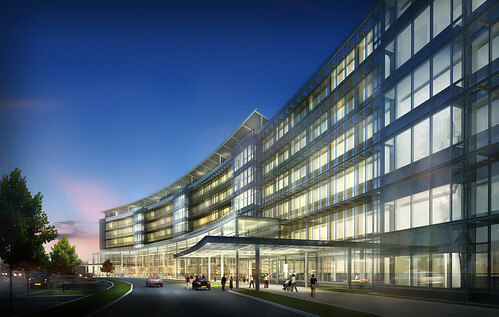 It will combine facilities for the University of Medicine and Dentistry of New Jersey and Robert Wood Johnson Medical School, including 238 private patient rooms, areas for families to spend the night, and operating rooms designed to accommodate robotics. The project will feature green-era perks, such as 100-percent fresh air ventilation, sustainable finishes, and energy efficiency controls. Digital technologies will also be employed in the form of self-check-in kiosks and computerized record keeping. UMCPP will act as the centerpiece of a 160-acre healthcare campus that will also include a medical office building, a nursing unit, a health education center, a fitness and wellness center, a senior residential community, and a 32-acre public park. With all of these amenities, it’s hard to imagine what the cantankerous Dr. House would find to gripe about! February 7, 2019 What do architects want from a Green New Deal? December 21, 2018 What is Low-resolution architecture?